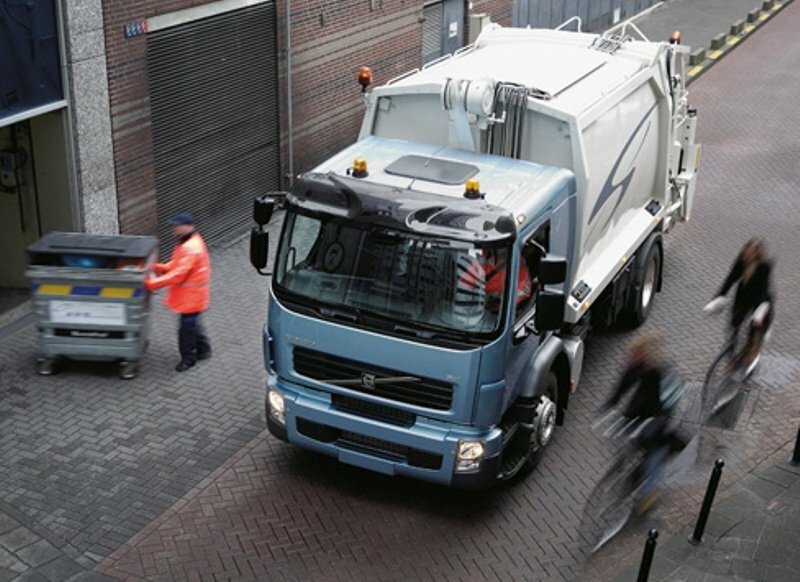 The Volvo FE was built for local and regional transports and is available with gross weights of 18 to 26 tonnes. 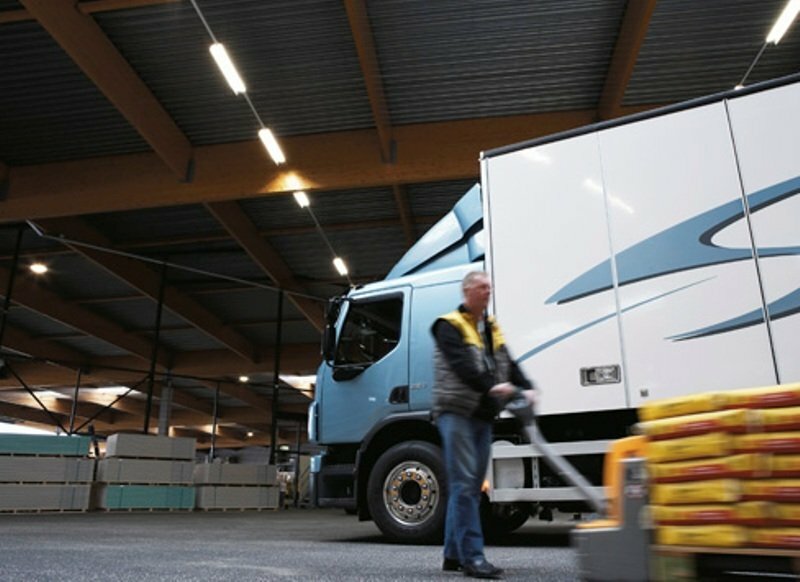 The truck is comes with a wide range of reliable engines and a versatile chassis that can be modified to cope with a broad range of missions such as distribution for refrigerated or frozen-goods, refuse handling, light construction duties and various forms of tanker and bulk-goods transportation. The Volvo FE is available in both rigid and tractor versions and in 4x2, 6x2 and 6x4 axle configurations. You can also choose between four cabs naming the low cab, day cab, comfort cab and sleeper cab. The truck competes against models like the DAF LF, MAN TGL, or Iveco Eurocargo. Volvo FE is the bigger brother of the FL model and shares a lot of details with its sibling. The overall design is clean and conservative without any fancy elements to make the truck stand out from the crowd. The FE bares the same rectangular grille traversed by a diagonal chromed strip which is now common for all Volvo’s trucks. Unlike the DAF or MAN headlights, Volvo has managed to add two attractive units which, thanks to their vertical shape, give the truck a unique flavor. Volvo’s build quality is also among the best in the segment and it can be seen even at the exterior thanks to the small panel gasps and the solid fittings. We also like the huge windscreen and the sloped bottom line of the lateral windows which improves the side visibility. There are also a few important elements added to improve the truck aerodynamics namely the airflow panels and the wheel covers. The wind deflectors for roof and sides reduce air drag while the wheel covers reduce the air resistance thus enhancing the truck’s efficiency. Once you’ve step inside you’ll find a pretty manly cabin design with a lot of square shapes and rectangular designs. As you’ve probably expected from Volvo the build quality is top notch and can be compared with the one from the Mercedes trucks. Three cabs are available for the FE and even the smallest cab feels spacious and comfortable. The day cab was designed for short distances and offers maximum space for the load platform. 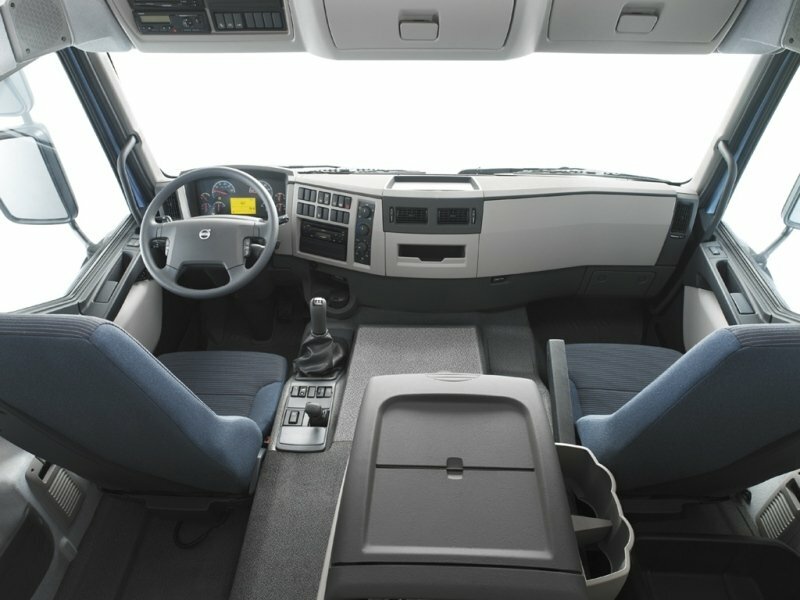 The comfort cab is a comfortable alternative for somewhat longer transport operations. The sleeper cab is designed for those seeking for more space on board or overnight accommodation. The dash layout is pretty clean and uncluttered which means that most of the controls are in the right place and are easy to use. We also like the small multifunctional steering wheel which is fitted with a host of controls for the cruise control, audio system, retarder and navigation system. Moreover, you can easy find a comfortable driving position as it can be adjusted pneumatically. The Volvo FE comes with a choice of four comfortable driver’s seats and five passenger seats while there is also available an optional extra passenger seat. Regardless of which version you choose all seats offer good support and you’ll feel fresh even after a full day of wok spent behind the steering wheel. The Sleeper cab features a fixed bed measuring 13.5x78x200 cm while the Comfort cab is available with a fixed or two-piece bed, both with foam mattresses in 13.5x58x200 cm and 9x78x200 cm dimensions. As most of today’s trucks the FH is fitted with plenty of smart storage space in the form of compartments and pockets. Storage boxes for fitting on the engine cover are available in a variety of configurations depending on cab variant. The Comfort is also available with an optional 28-litre refrigerator. To enhance the cabin functionality, above the windscreen there is a spacious shelf with three DIN compartments and plenty of space for electrical equipment. 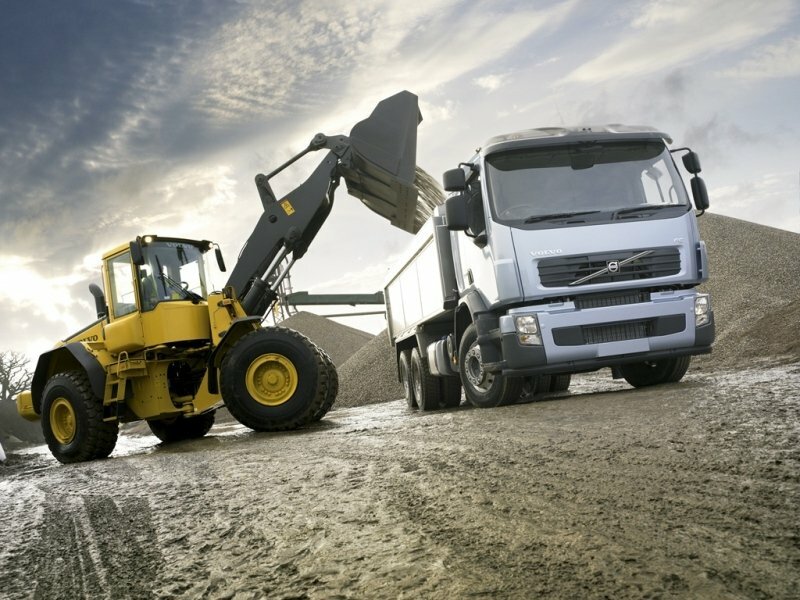 Volvo’s engines are among the most reliable in the market and the Scandinavian manufacturer even offers the most powerful truck from the market for long haul operations namely the FL16. The smaller Volvo FE features 7.2 liter D7F engines which are available with 240, 260, 300 and 340 hp. The engines respond instantly to the throttle, and offer a good acceleration reaching cruising speeds without breaking a sweat and offering a strong pulling power even on steep inclines. The torque is also pretty good and is achieved from relatively low revs, with a maximum output of 1300 Nm for the 340 hp engine. The Volvo D7F engine uses the SCR (Selective Catalytic Reduction) to be compliant with Euro 5 norms which uses a mixture of urea and water known as AdBlue, which is injected into the exhaust gases, converting the nitrogen oxides into harmless nitrogen gas and water vapour. The AdBlue tank is located beside the fuel tank and has a capacity of 70 litres. The engines can be mated on either 6 or 9 speed manual gearboxes. Volvo’s transmissions are among the best in the segment and to offer smooth shifts and exact responses are servo-assisted. You’ll also like the vibration-free lever which has a short throw and a well-defined shift pattern. The truck is also available with the 6 speed automatic transmission which offers a better fuel consumption and can be operated with the push-buttons found on the engine tunnel. The Volvo FL comes with standard leaf springs of parabolic type which are pretty pliant, but occasionally feel a bit harsh and some of the road bumps are able to make their way into the cabin. The truck is also available with Volvo’s ECS (Electronically Controlled Suspension) which offers better comfort and was designed especially to carry fragile loads. The system automatically adjusts itself so that the truck remains at a constant height and compensates for unevenly distributed loads. 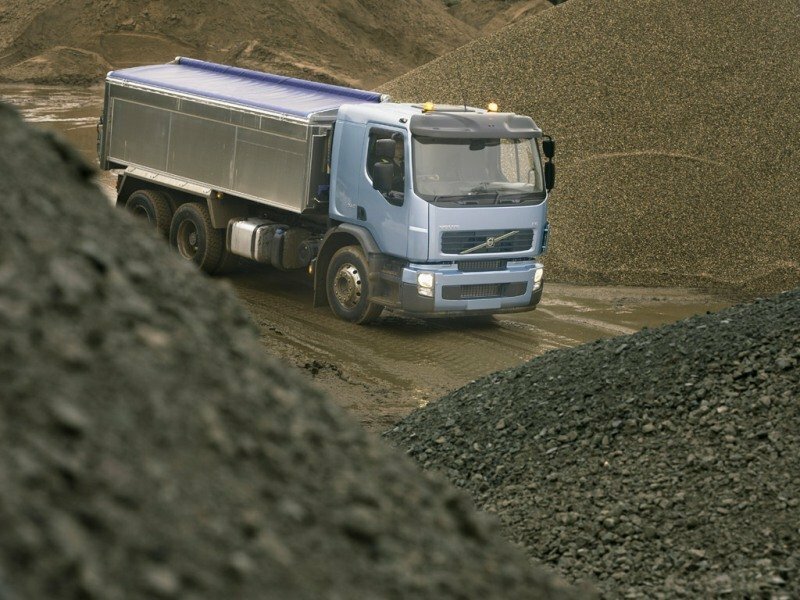 The Volvo FE is equipped with electronically controlled disc brakes (EBS), featuring functions like “Hill Start Aid”, ABS and ESP. To spare the life of the brake the Volvo FE is also available with an engine brake while the automatic transmission comes with an integrated retarder. The steering is also great and offers a predictable and smooth response also rewarding you with plenty of road feedback. Volvo’s trucks are among the best in the business and the FE makes no exception. The truck’s versatility is assured by a wide range of chassis, cabs and engines and you can also rely with confidence on its strong build quality. The cabin is among the most comfortable in the segment while the handling is at par with its rivals. The famous Volvo reliability can be rivaled only by Mercedes and the Scandinavian truck is also the safest vehicle in its segment.